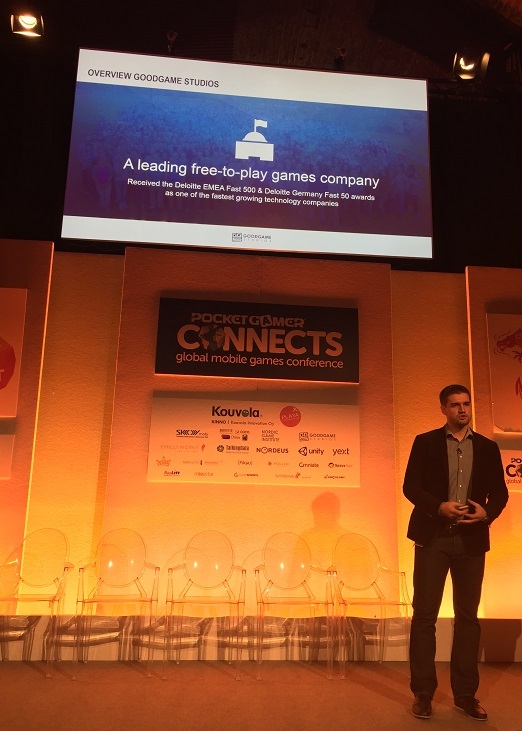 PG Connects, one of the most noteworthy gaming conferences in Europe focussing primarily on mobile games, took place on January 13 and 14 in London this year. For Goodgame Studios, PG Connects was a great opportunity to build and maintain relationships with our business partners and media outlets from around the world and to keep an eye out for new talent. The conference offered a variety of thought-provoking presentations and discussions on a wide range of topics related to the mobile gaming industry. Leading companies in the industry, like Facebook and Google, presented the latest findings and trends. As Germany’s largest developer, Goodgame Studios gave its own keynote presentation and participated in an inspiring panel discussion on the topic “East meets West”, since we have already enjoyed great success in Korea and Japan and have offices in Tokyo and Seoul. In the keynote presentation, Paul Kroemeke, our director of international markets, gave insights into the Asian market, where mobile games already have a 33% market share. 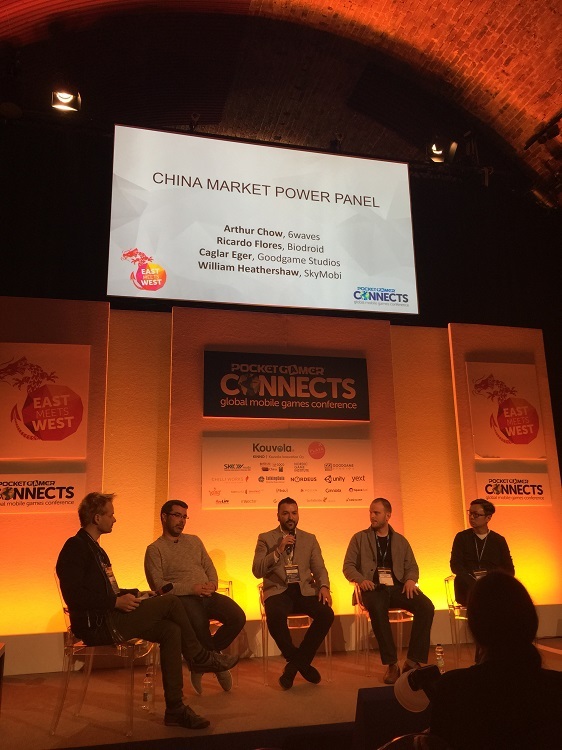 Caglar Eger from the business development team joined other market experts from 6waves, SkyMobi, and Biodroid at the China Power Panel to discuss the hottest trends in China. One of the interesting topics they covered was the role of the two online giants Tencent and Alibaba going into the future. Both sessions were extremely well received and a hit with the audience. Since our team continues to grow at an impressive rate, we naturally drew on this opportunity to recruit new team members as well. One great magnet for attracting applicants to our stand was a quiz about the company where the winner took home a brand new iPad Mini! PG Connects was an across the board success and an ideal platform for presenting Goodgame Studios as a leading global company. It was great to get the 2015 conference year off to such a fantastic start! Click here to see what other trade fairs and conferences you can find us at this year.